Annual Sports is held in the first week of February every year. It is one of the greatest learning experiences for each pupil. 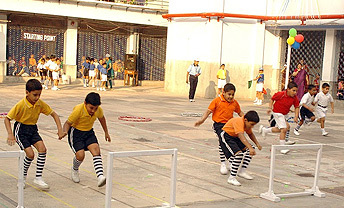 Students participate in various events-Yoga, Karate, Drill Display and Athletics. Participation in the Annual Sports is compulsory for all the students.